Polish economist, academic, and policy maker. 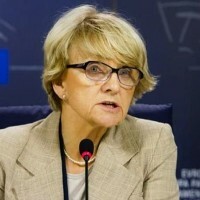 She served as European Commissioner for Regional Policy from 22 November 2004 until 4 July 2009, when she resigned to become a Member of European Parliament for the Civic Platform. In 2012, Professor Hübner became a member of the International Honorary Council of the European Academy of Diplomacy.